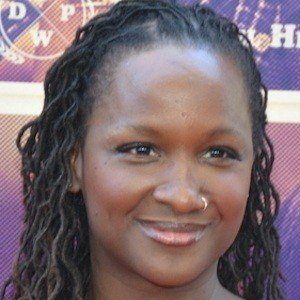 American film and television producer known for her work on films like Dear White People and shows like Blue. In 2015, her profile was raised considerably when she appeared on the HBO reality series Project Greenlight. She was a member of the theatre program at Loyola Marymount University. Shortly after graduating, she was named the Director of Development for Tim Burton Productions. She clashed with Matt Damon over issues of ethnic diversity on Project Greenlight, an incident which was covered by media outlets like The Washington Post. Her mother was a social worker and her father was in the military. She produced the 2002 film Real Women Have Curves, starring America Ferrera.